Pune International Marathon Committee decided to host 5km and 10km races on the 4 December 2016 at the Shiv Chhatrapati Sports Complex Balewadi. Pune, Half Marathon and Marathon categories will now provisionally take place on Sunday 29 January 2017. Entries will automatically be carried over to the new date. The Hong Kong Committee for UNICEF (UNICEF HK) announces that it is working towards resuming the UNICEF Charity Run in the early part of 2017 at the Hong Kong Disneyland Resort, as a replacement event for the one cancelled on Sunday 27 November 2016. The arrangement has yet to be confirmed and work is in progress for obtaining all the permits and approvals from various government departments, and liaising with partners. Organisers of the HAJ Hannover Marathon caused a major pre-Christmas surprise today by presenting German record holder Arne Gabius during a press conference. A long-term injury with an inflammation in the pelvis area forced Arne Gabius to first withdraw from the Olympic marathon and then cancel any plans for an autumn marathon. Before he had dropped out of the London Marathon in April so that he last completed a marathon more than a year ago: It was in Frankfurt where he broke the long standing German marathon record with a time of 2:08:33 in October 2015. “There should not be too much pressure for me in Hannover and I hope to enjoy the competition. Additionally the earlier April date of the race suits me,” said Arne Gabius, who recently started running sessions again after doing most of his training in water before. He plans to run a first competitive race on New Year’s Eve and will then determine when and how long he will go for training to Kenya in the built up to Hannover. It is likely that he will run at least one half marathon before his marathon race. “Of course I would like to run a time of around 2:10 in Hannover — however at present I am simply unable to make any predictions. I have never had such a major injury in my career before so that I have to wait and see what kind of shape I can get myself in,” said Arne Gabius, who might still opt for a marathon start at London’s World Championships next summer. This will of course depend on his race in Hannover and on the recovery after that. On the very flat course in Hannover the German qualification time of 2:13:00 should normally not be a major obstacle for Arne Gabius. Because of adverse weather conditions and force majeure the Department of Security of Málaga City Council has decided that, for reasons of the health of the participants, the Maraton Málaga that was scheduled for 4 December. This also applies to the Carrera de los Boquerones 5km race that is held in conjunction with the Marathon. Participants are directed to info@maratonmalaga.com for the resolution of any outstanding issues concerning their registration. The Erzurum Half Marathon (TUR) will take place on Sun 7 May 2017, not Sun 21 May 2017 as previously published. The Nova Poshta Kyiv Half Marathon (UKR) will take place on Sun 9 April 2017, not Sun 30 April 2017 as previously published. The AIMS Best Marathon Runner 2016 award managed to catch up with winner Eliud Kipchoge, after a six-day chase, 54 degrees of longitude further east. 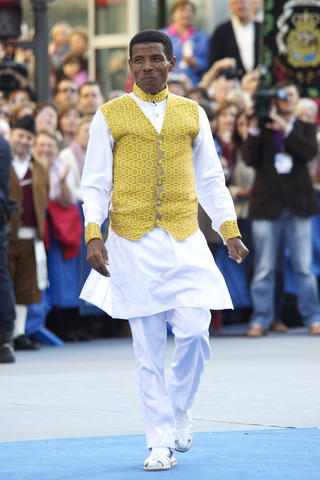 Kipchoge was unable to attend the official BMR Award ceremony staged in Athens on 11 November (immediately following the 21st World Congress of AIMS) because he was fully focused on final preparations for the Airtel Delhi Half Marathon to be held on 20 November. But within hours of arriving in the Indian capital he attended a pre-race press conference on 17 November at which the award was handed over to him by Race Organiser Vivek Singh and AIMS secretary Hugh Jones. The corresponding women’s award was made to Jemima Sumgong at the scheduled ceremony in Athens on 11 November. Thailand is in a period of national mourning after the passing of His Majesty King Bhumibol Adulyadej. The organising committee of BDMS Bangkok Marathon 2016 has postponed the race from 20 November 2016 to 5 February 2017. The new race venue is Utthayan Road, known as one of the most beautiful avenues in Thailand, and the route will be on the Barommaratchachonnani Elevated Highway. Marathon (42.195 km.) starts at 00.00 (Midnight) and ends at 06.00. Half Marathon (21.100 km.) starts at 02.00 and ends at 05.30. Mini Marathon (10 km.) starts at 05.00 and ends at 06.30. The original rules, regulations, and awards in all categories still apply. A new race route and map will be announced soon. The Roads to Rhodes Marathon (GRE) will take place on Sun 9 April 2017, not Sun 30 April 2017 as previously published. The hosting of the next and 22nd Congress of AIMS was won by the Tallinn Marathon and will be held in the beautiful city of Tallinn in Estonia on the dates of the 6–8th September 2018. 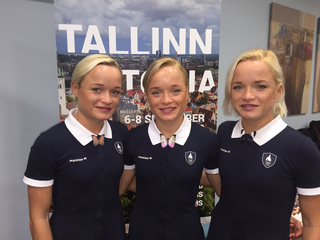 The excellent presentation made by Renna Järvalt, the General Secretary of the Tallinn Marathon had a unique element which was a dance by the triplets Leila, Lily and Liina Luik, who made history this summer in Rio de Janeiro by becoming the first triplets to compete in the Olympic women’s marathon. They referred to themselves as the “Trio to Rio”. The then 30-year-old triplets only took up the sport six years ago but Lily came a respectable 97th and Leila was 114th. Unfortunately, Liina was unable to complete the tough event on the day, but all three names are now etched in Olympic and world history. The presentation included personal messages from Estonian President Kersti Kaljulaid and Prime Minister Taavi Roivas. The other impressive bidders were Jerusalem Marathon (Israel), Penang Marathon (Malaysia), and HeidelbergCement Tbilisi Marathon (Georgia). The Congress is co-organised by the ‘Athens Marathon, the Authentic’ and the Hellenic Athletics Federation (SEGAS), Greece’s governing body for athletics. The Coca-Cola Wake Your Body Women’s Run (HUN) will take place on Sun 28 May 2017, not Sun 21 May 2017 as previously published. Wherever Haile Gebrselassie goes, the world of running wants to hear the thoughts of the now retired great athlete who has won two Olympic gold medals, many world titles and set world records on the track and the road up to the marathon. When he arrived in Athens to receive his Lifetime Achievement award presented by AIMS, the Association of International Marathons and Road Races, the interest in the newly elected president of Ethiopian Athletics was just as great. “Greece is a wonderful country which everyone wants to visit. It’s the birthplace of the marathon, that’s why they are coming here to run,” said Haile, speaking two days before some 50,000 took to the roads of Athens, including around 17,500 who ran the “Athens Marathon. The Authentic” on Sunday. Ever the diplomat, Haile also mused on the possibilities that he himself might one day run in the footsteps of history and take part in the original, classic marathon course from the coastal town of Marathon to the Panathinaic stadium in Athens. A more concrete goal is Haile’s plan to revitalise Ethiopian athletics as its new president. Their success has been far from consistent in recent years and the amicable rivalry with Kenya has left them trailing their East African counterparts. In the meantime, Haile Gebrselassie is turning his attention to getting Ethiopian athletics back into winning shape. Awards to the Olympic Marathon Champions Eliud Kipchoge and Jemima Sumgong as well as the former world record holder Haile Gebrselassie were the crowning moments of the AIMS gala in Athens, the birth place of the Marathon, on Friday 11 November. Their outstanding achievements were given global recognition at the fourth annual AIMS Best Marathon Runner’ (BMR) Awards Dinner Reception, which was held as part of the 21st AIMS Congress this year. Eliud and Jemima were selected by an expert panel on behalf of AIMS Members, made up of 410 of the world’s leading and most prestigious distance races from over 110 countries and territories. While Kipchoge was unable to attend the ceremony and was represented by his manager Jos Hermens, Sumgong received the Best Marathon Runner of the Year award and Gebrselassie was honoured in Greece with the Lifetime Achievement award by AIMS. Two more awards were presented on Friday evening: the AIMS Green Award to the Göteborg Varvet Half Marathon and the AIMS Social Award to the Munich Marathon. “It is so special for me to be recognised in this way by AIMS, their members and sponsors. I would like to thank them for awarding me in recognition of my achievements this year. I have been delighted with my form this year and this is a wonderful way to have my efforts recognised by the people at the top of organising my sport at the highest level,” she added. It was a double Kenyan celebration at the award ceremony since Sumgong’s compatriot Eliud Kipchoge won the male category after the same sequence of wins in London and then the Olympic Marathon. “I am delighted to receive this award for the second year in a row. 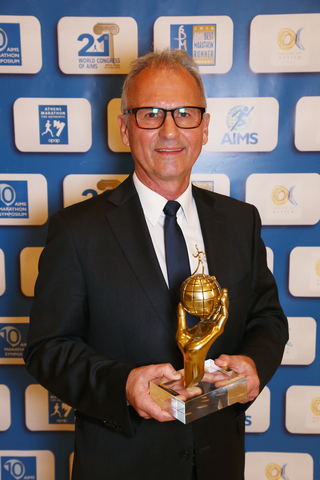 I really enjoyed receiving the Best Marathon Runner Award last year in Athens and I am very pleased to have been recognised by AIMS and their members from around the world again. It is a great honour to receive this award,” said Eliud Kipchoge. 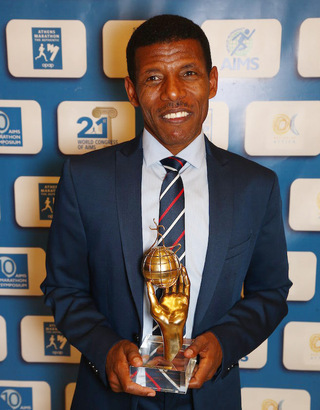 Haile Gebrselassie was honoured with the Lifetime Achievement Award, a fresh distinction following his recent election as the president of the Ethiopian Athletics Federation. “I am very grateful to receive this honour and that it should be in Greece, the birth place of the Marathon,” said the 43-year-old Ethiopian. The Gala was held in collaboration with the Stavros Niarchos Foundation Cultural Center, at the newly built and impressive installations of the SNFCC in Athens which have been completed and opened for the public during last summer. Four years ago, in 2012, the Stavros Niarchos Foundation purchased at auction in London the silver trophy of Michel Breal which Spiridon Louis was awarded after his Olympic Marathon victory in 1896. The Trophy is now on display at the Stavros Niarchos Foundation Cultural Center and was viewed by guests at the Gala on Friday evening. 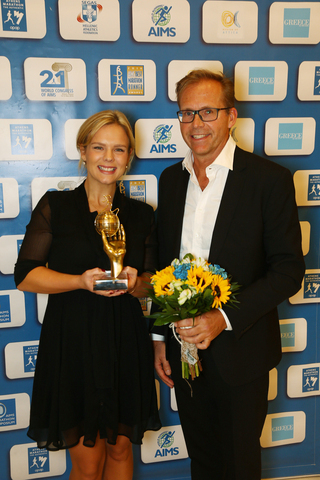 The GöteborgsVarvet Half Marathon from Sweden received the ‘AIMS Green Award’ for 2016 in recognition of their long term investment in environmental practice. In 2012 and 2014 they received environmental diplomas and in May 2016 became one of the first races in the world to receive ISO 20121 certification. ISO 20121 is a management system standard that has been designed to help organizations in the events industry improve the sustainability of their event related activities, products and services. The AIMS Social Award for 2016 was presented to the Munich Marathon for their project ‘Laufend integrieren’, which roughly translates as ‘constantly integrate’. This project has sought to help refugees integrate into German culture by setting up running groups for refugees and local Munich runners. They also employed more than 100 refugees around the race weekend preparing the race packages, handing them out and stewarding the route. Finally, bracelets branded with ‘Laufend integrieren’ were sold at the sports expo. The money raised from the bracelets in addition to donations from sponsors meant the Munich Marathon donated €30,000 to the social authority for Munich to distribute as they see fit. The growth of running is booming around the world, an audience representing over 400 cities in over 100 countries and territories heard this week in Athens, Greece, the home of the marathon. The ‘Athens Marathon, the Authentic’ Greece has seen growth from 5,000 runners to 50,000 in the last 10 years reported Athens Marathon, General Manager, Makis Asimakopoulos. William Ko, Chairman of the Standard Chartered Hong Kong Marathon reported that his race has seen an increase from 1,076 runners in 1997 to 74,000 in 2016. Millions of runners around the world are enjoying the sport and the physical and mental health benefits it brings. AIMS President Paco Borao commented on the considerable growth and success of the marathon movement around the planet and on its significance as the world’s ‘original and most affordable sport’. He highlighted that the growth of ‘the running movement has been increasing at over 16% per year for the last 10 years’. In addition to the health benefits of running as part of the marathon and distance race movement, the considerable, positive and important economic impact it brings to cities and countries was reported as millions of euro, Japanese yen and American dollars are generated in cities ranging from Athens to Tokyo to New York, Paris and Berlin. The Association of International Marathons & Distance Races (AIMS) representing 415 of the world’s best races across 110 countries, such as the Boston, Chicago, New York, Athens, Berlin, Paris and Tokyo Marathons, is holding its 21st World Congress this week in Athens, Greece (10-11 November 2016). The World Congress was co-organised by the ‘Athens Marathon, the Authentic’ and the Hellenic Athletics Federation (SEGAS), Greece’s governing body for athletics and held at the Crowne Plaza Athens City Centre Hotel. 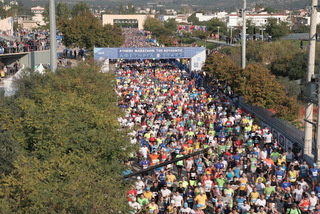 The weekend will finish with the 34th edition of the ‘Athens Marathon. The Authentic’ on Sunday 13 November. It is especially relevant for the AIMS Congress to have been held in Greece, the birthplace of the Marathon, formed on the legend of Pheidippides, the Greek soldier-runner who ran from the town of Marathon to Athens in 490 BC to announce the Persians had been defeated in the ‘Battle of Marathon’. The legend became the inspiration for Pierre de Coubertin, Michel Breal and Dimitrios Vikelas, to establish the race from Marathon to Athens which was included in the programme of the inaugural modern Olympic Games of 1896. The Congress marked the 120th anniversary of the Olympic Marathon race. There was a fascinating collection of experts who spoke across a range of subjects such as the challenge of combating doping in sport. Kevin Dutton, a renowned research psychologist at the Department of Experimental Psychology, University of Oxford spoke about ‘why do people cheat?’, a topical subject in world sport. Dr Dutton explained that throughout history there have always been people cheating and it is inevitable it will continue in the future not just in sport but across all aspects of life. He highlighted a study in the United Kingdom which asked students if they would cheat in exams if they had a low chance of being caught. In 1940 that percentage was 20%; when the same study was carried out in 2016 over 75% said they would cheat. Dr Dutton said there had been studies with comparable results around the world. He attributed this increase over the years to different outlooks and focus in modern life, where too many people focus on what they can get rather than what they can be. The Oxford professor highlighted that there is a combination of factors both internal to the individual and external factors in the environment that would make it likely whether a person will cheat or not. A reduced sense of morals. And when a strong number of these internal and external factors come together the likelihood of cheating is high. Most psychologists agree, Dr Dutton said, that the strongest component is of having cheated once there was an incredibly high chance it will happen again. In terms of what can be done to address the issue Dr Dutton said, as well as having the best testing methods, it is important to seek to influence the minds of athletes through words and imagery that will not just appeal to the logical aspect of the brain but also to the emotional centre of the brain. The race directors from around the world also heard from Diane Modahl, an Olympian British former middle distance runner and a three-time medallist at the Commonwealth Games and who was falsely accused of a doping offence in 1994. Diane spoke about her fight to clear her name which ultimately cost her two years of her career and where she and her family lost their home. Ms Modal said that the IAAF must look to protect athletes where possible from facing the emotional and financial torment of being falsely accused. Prof Yannis Pitsiladis, (MMedSci., PhD, FACSM), Sport and Exercise Science, University of Brighton, UK gave a fascinating talk about the development of genetic testing methods that he feels can better detect doping particularly those using EPO where he believes his testing shows that EPO can increase performance by 6 to 7 percent. Jean Gracia – Vice President of European Athletic Association in charge of Development and former General Secretary of the IAAF spoke about the complexity and the challenges of addressing not only individual doping but state sponsored doping and the work being done to address this. Tom Grilk – Executive Director, Boston Athletic Association, Boston Marathon spoke powerfully about the importance of the corner stone of sport being ‘honesty and integrity’. Referring to Nelson Mandela’s belief that integrity is the core of human values as integrity is the quality that is the foundation of all other factors. Makis Asimakopoulos, General Manager, ‘Athens Marathon, the Authentic’ gave a magnificent presentation on the development of the Athens Marathon from 5,300 runners to 50,000 over ten years and spectators from 5,000 to 100,000 over the same period. He highlighted a 7 step plan ranging from defining and developing a USP (Unique Selling Point) for your event to the social development which now sees the Athens Marathon generate in the region of 800,000 Euros for community projects. As Mr Asimakopoulos stated ‘the marathon is not a destination but a social vehicle’. The conference also heard from Marathon and Communications expert Alessandra Ramella Pairin who was integral to the Turin Marathon becoming one of the first in the world to use integrated new technology including broadcast over the 4G network (which had only been operating for 15 days at that time) and utilising drone technology for filming mass participation events. Finally, the Congress heard about the importance of Building a Medical Infrastructure – From Budget to Deployment from Chris Troyanos, Executive Director of IIRM, International Institute for Race Medicine. Board Member: Mitsugi Ogata, Ph.D. The 10th AIMS Marathon Symposium hosted a fascinating collection of experts who spoke across a range of subjects such as the challenge of combating doping in sport. Hillary Yego caused a major surprise three years ago with his victory in the Athens Marathon. The Kenyan ran 2:13:51 on the tough course which was the original 1896 route leading from the town of Marathon to the Panathenaic Stadium in Athens. Now Yego is returning to the “Athens Marathon. The Authentic” and will be among the favourites for the title next Sunday. 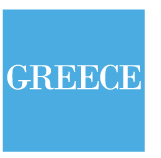 A record 50,000 runners, taking into account those taking part in events held in conjunction, will participate in the 34th edition which will be organised by the Hellenic/Greek Athletics Federation (SEGAS). Last year SEGAS had to forego having an international elite field because of the country’s bank capital control but the mainly African elite contingent is back this time. The “Athens Marathon. The Authentic” remains a real Greek success story despite difficult times for the country as a whole with entry numbers showing a clear increase of around 15% since last year and 100% during the last 5 years. Three years ago few considered Hillary Yego to be one of the favourites in Athens. However he proved what he could do on the undulating course and left the bigger names trailing in his wake. The victory in Athens remains the biggest of his career so far. Now 29, he returned in 2014 as the reigning champion but dropped out. In the same race the winner Felix Kandie of Kenya set the course record with 2:10:37, improving by 18 seconds the time of no less than Stefano Baldini when the Italian won the Olympic title in 2004. Two more Kenyans will be among Hillary Yego’s key rivals on Sunday: Augustine Rono and Luka Rotich. In comparison with Yego, both have faster personal bests of under 2:10 but it remains to be seen how they deal with the demanding course. Rono ran 2:07:23 in Hamburg in 2012 and Rotich ran 2:08:12 in Ottawa in 2013. Kenya looks like dominating the women’s elite field as well. The 32-year-old Penina Wanjiru made a successful trip to the English south coast town of Brighton in 2015 to win in 2:34:25. Last December she achieved another victory, this time in Spain, winning the Malaga title in 2:37:46. Also coming into contention should be her compatriot Gladys Kwambai. The 33-year-old has a best of 2:36:14 in finishing seventh in Warsaw in 2015. By a decision of the St Denis Prefecture taken on 26 October the Semi Marathon de Saint Denis – La Voie Royale (FRA) has been cancelled because of the very heavy security restrictions that have been imposed upon the race organisation. At the Best Marathon Runner Awards to be held in the birth place of the Marathon in Athens, Greece on 11 November 2016 AIMS will present the Lifetime Achievement Award to Haile Gebrselassie. Haile’s unparalleled career of success across many disciplines of distance running will be recognised on behalf of AIMS’ 410 members from 110 countries and territories, including the BMW Berlin Marathon — a race Haile famously won on four consecutive occasions between 2006 and 2009, setting new World Records in 2007 and 2008. He has been widely referred to as the greatest distance runner in history. 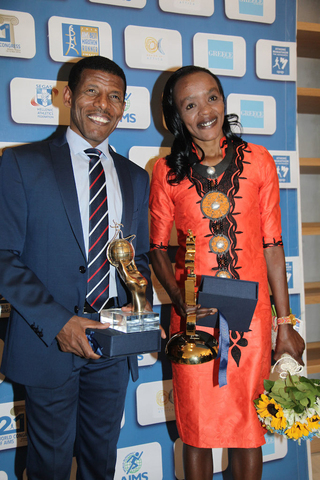 AIMS has previously presented Haile with the AIMS World Athlete of the Year Award for three consecutive years; 2006, 2007 and 2008. Born in Asella Ethiopia in 1973, Haile first gained international attention when he won the 5000m and 10,000m races at the World Junior Championships in Seoul, South Korea in 1992. He won two Olympic gold medals (both in the 10,000m) and won many marathons around the world. He also has an impressive collection of gold medals from indoor and outdoor World Championships in Athletics. Throughout his career he has set World Records at a variety of distances from two miles to the marathon. Eliud Kipchoge and Jemima Sumgong have been named as AIMS’ Best Marathon Runners of the year on behalf of its 410 member races spread throughout 110 countries and territories. Their outstanding achievements over the past year will be recognised at the fourth annual AIMS Best Marathon Runner’ (BMR) Awards reception to be held in the birth place of the Marathon in Athens, Greece on 11 November 2016. This is the second consecutive year that Eliud Kipchoge (Kenya) has been recognised with the AIMS Best Marathon Runner Award. He has continued his excellent form from 2015 into 2016, winning two of the biggest marathon events in the last 12 months. In April 2016 he won the London Marathon for the second consecutive year, setting a new course record of 2:03:05. He then followed that up by winning his first ever Olympic gold medal in Rio de Janiero, winning the marathon in a time of 2:08:44. Jemima Sumgong, also 31 years old, also won the London Marathon, recording a time of 2:22:58 despite falling at 35km and sustaining cuts and bruises. In the Olympic Games Marathon she again ran away from her rivals in the latter stages of the race to win Kenya’s first women’s marathon gold in a time of 2:24:04. AIMS President Paco Borao comments: “Jemima and Eliud are clearly the outstanding performers of our sport in 2016. It will be our great pleasure to recognise them here in such a special location for all marathon runners, where their own rightful place of making history in the modern day is recorded for all time as part of over 2000 years of marathon history in the home of the marathon Athens. The OMV Petrom Bucharest Half Marathon (ROU) will take place on Sat 13 May 2017, not Sat 1 April 2017 as previously published. After Fate Tola had closed the gap on the eventual women’s winner, Ethiopia’s Mamitu Daska, to just 15 seconds at the finish in Frankfurt’s Festhalle, she was asked if she might have made up the difference on another day. “Oh yes,” came the swift reply, accompanied by a beaming smile from the woman who had just won her first German marathon title with her time of 2:25:42 in Sunday’s Mainova Frankfurt Marathon. The response was in no sense intended to denigrate the victory of Mamitu Daska. Instead, it reflected the quiet and growing confidence of a runner who had missed Olympic selection for the marathon this year through no fault of her own and was simply getting on with the job of developing her international career. Once upon a time, Fate Tola and Mamitu Daska might have been team-mates, wearing Ethiopian national vests. But fate took Tola to Germany, not under a flag of convenience but to make a new life. She speaks German and her linguistic skills are improving rapidly. Her husband and fellow runner Musa Roba Kinkal, also Ethiopian-born, acts as an interpreter for some Ethiopians, but Tola needs no assistance in this respect. It’s a welcome sign for the media in distance running that an athlete is prepared not just for the hard graft of competition but also communicating directly with the press and not content to use an interpreter throughout their career. Not everything has gone so smoothly for her this year and the prime example was through no fault of her own. Having applied for German citizenship, the prospects appeared bright that Fate Tola would be on the start line for the Olympic Marathon in the colours of the Bundesrepublik in Rio. Her hopes were dashed when her German passport arrived… two weeks too late. Her marathon best of 2:25:14 was set when finishing fifth in Berlin in 2012. She then took maternity leave, or, as it is more charmingly expressed in German, “Eine Babypause.” Their three-year-old daughter Samya is the result. In Frankfurt she ran her first marathon as a German citizen and won the national title. It has been a seven-year journey so far from her marathon debut of 2:36:54 to win in Thessaloniki in 2009. Her rise to elite status was marked by wins in Vienna in 2011 and the following year. That Fate Tola can mix it at top-class level was confirmed by her eighth place on the rolling hills of Boston in April this year, running 2:34:38. As the fourth fastest female German marathoner of all time with her time from Frankfurt on Sunday – the chart is led by Irina Mikitenko with 2:19:19, followed by Uta Pippig and Kathrin Dörre-Heinig – Fate Tola is moving up in the world. On the subject of worlds, or rather the World Championships in London next year, her performance at the Mainova Frankfurt Marathon should certainly earn her a place in the German marathon team this time. The AIMS Best Marathon Runner for 2016 Awards and the “Athens Marathon. The Authentic” will form the cornerstone of four days celebrating the classic international road running event to be held in Athens from Thursday, November 10 and culminating in Sunday’s marathon to be held on the historic and unique course with 18,000 marathon runners from more than 100 countries. During the 21st World Congress of the Association of International Marathons and Distance Races (AIMS), also to be held in Athens on the same weekend, Kenya’s Olympic champions Eliud Kipchoge and Jemima Sumgong will receive their AIMS BMR Awards during Friday’s reception. Also to be honoured with the AIMS Lifetime Achievement Award will be Haile Gebrselassie, receiving a further accolade for his outstanding performances. To win an Olympic title is the summit of any athlete’s ambition. Eliud Kipchoge and Jemima Sumgong also helped Kenya achieve the country’s first ever double marathon gold in Rio in August. Eliud Kipchoge has been a potent force in distance running since he beat Kenenisa Bekele to the World 5,000m title as an 18-year-old in Paris in 2003. Victorious on his marathon debut in Hamburg with 2:05:30 in 2013, he has won all but one of his seven races at the distance, displaying consummate mental as well as physical mastery of the event. Winning in Berlin just over a year ago in 2:04:00, he dominated London’s usual field of outstanding talent, running to within eight seconds of the world record with 2:03:05. Then came victory in the supreme test of the Olympic Marathon in Rio. Jemima Sumgong had produced consistent results over the years in the marathon including finishing runner-up in Boston in 2012 and Chicago the following year and then fourth in the 2015 World Championships. However it was her victory in London this April that gave a solid pointer to her Olympic prospects. In Rio’s tough conditions she captured the title in 2:24:04. It is fitting that Haile Gebrselassie should receive his AIMS Lifetime Achievement Award in Athens, the birthplace of the marathon. The great Ethiopian was a colossus on the track, twice winning Olympic gold at 10,000m and eight world titles, plus a half marathon World Championship for good measure. He freely acknowledged that the marathon was a fresh craft to be learned, served his apprenticeship and twice broke the world record in Berlin, becoming the first man to break 2:04, albeit it by one second, in 2008. Two further awards will be presented during Friday’s reception, organised by AIMS and the Hellenic Athletics Federation (SEGAS): the AIMS Green Award to the Göteborg Varvet Half Marathon and the AIMS Social Award to the Munich Marathon. The traditional opening ceremony for the “Athens Marathon. The Authentic” will take place on Saturday, November 12. As usual the ceremony will take place inside the archeological site, the Tomb of Marathon, the memorial to the Battle of Marathon in 490 BCE when the Greek troops and their allies defeated the invading Persians. According to legend, the messenger Pheidippides ran from the battlefield to bring news of victory to Athens, providing inspiration to Pierre Coubertain, Michel Breal and Dimetrios Vikelas for the creation of the marathon as an athletic event during the first Modern Olympic Games of 1896 in Athens, Greece. The marathon flame will be lit during the ceremony and carried by relay to the race start in the nearby town of Marathon. History will also be celebrated shortly before the leading runners enter the Panathenaic Stadium during the marathon on Sunday, November 13. It is 120 years since the first Modern Olympic Games of 1896 and the first ever Olympic marathon finished in the same stadium. Descendants of Spiridon Louis and Charilaos Vasilakos, the Greek gold and silver winners of the first marathon in 1896, as well as other marathon champions who have won local or international titles in the authentic marathon course will be presented to the spectators. Also present will be the Olympic champion Jemima Sumgong, fresh from collecting her AIMS BMR 2016 Award two days before and all six medalists from Greece’s Olympic team in Rio. Interest in “Athens Marathon. The Authentic” is again high with around 50,000 runners expected to participate in all of the events’ races over a range of distances. But, as ever, the premier event remains the international officially measured marathon (42.195 km) which begins at 9 on Sunday morning as the runners follow the footsteps of the legendary Pheidippides from the town of Marathon to the finish line in the 1896 Olympic Stadium. At the AIMS Best Marathon Runner Awards reception, part of the 21st World Congress of AIMS, further awards will be made to one individual for Lifetime Achievement and to one AIMS member race for adherence to eco-friendly policies (the Green Award) and to one AIMS member race for commitment to supporting social causes through their race (the Social Award). The Green Award, which is designed to reward best environmental practice in marathon events, will be presented to the GöteborgsVarvet Half Marathon. Candidates for the Award were judged upon criteria including promoting environmentally friendly practices, how volunteers contribute to the success of the project and the ability for the race to educate younger generations about the benefits of sport and environmental protection. The two other shortlisted races were the Maratón de la Ciudad de Mexico and the SwissCityMarathon from Lucerne, Switzerland. 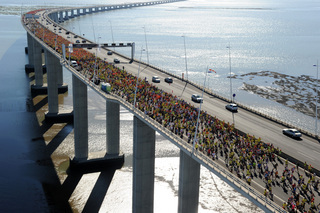 GöteborgsVarvet is the largest half marathon in the world with over 64,000 participants. For their 2016 race they ensured that sustainability was at the forefront of their social media, press releases and around the event. In an effort to tackle CO2 emissions they provided free public transport for all participants for three days during the week of the race. 75% of runners used this offer to collect their numbers and travel to and from the event. In addition to these efforts, GöteborgsVarvet have implemented many other environmentally conscious projects such as serving vegan and vegetarian food, collecting waste, donating left over clothes to charity. The Social Award, which highlights races working towards achieving the United Nations Millennium Development Goals, will be presented to the Munich Marathon. The eight Millennium Development Goals include eradicating extreme poverty and hunger, combatting disease, decreasing child mortality, promoting gender equality and the empowerment of women and ensuring environmental stability. Starting in 2015, the Munich Marathon have been working on a project called ‘Laufend integrieren’, which can be translated as ‘ongoing integration’ or even ‘running integration’. With large numbers of refugees arriving in Munich from the recent humanitarian crisis the organisers of the Munich Marathon decided to use their event to help refugees integrate into German culture. Working with the social authority of the City of Munich running groups were set up for both Munich runners and refugees. These groups met once a week from August to October in the build-up to the race with 32 refugees participating in the Marathon. In addition, over 100 refugees were engaged around the race weekend preparing the race packages, handing them out and stewarding the route. Bracelets branded with ‘Laufend integrieren’ were sold at the sports expo. The money raised from the bracelets in addition to donations from sponsors meant the Munich Marathon donated €30,000 to the social authority for Munich to distribute as they see fit. Munich Marathon organisers plan to continue these efforts through to the next race in 2017. The Golden Ring Yaroslavl Half Marathon (RUS) will take place on Sun 17 September 2017, not Sun 10 September 2017 as previously published. The Standard Chartered KL Marathon (MAS) will take place on Sun 21 May 2017, not Sun 1 October 2017 as previously published. The UWI-SPEC Half Marathon (TRI) will take place on Sun 23 October 2016, not Tue 29 November 2016 as previously published. The Longford Marathon (IRL) will take place on Sun 27 August 2017, not Thu 17 August 2017 as previously published. Reigning Paris Marathon Champion Cybrian Kotut is among a group of athletes added to the elite field of the Mainova Frankfurt Marathon on 30th October. 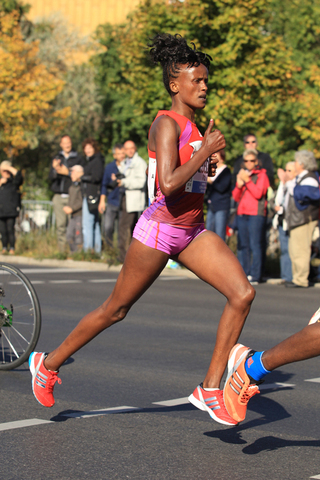 Last year’s women’s runner-up Dinknesh Mekash Tefera of Ethiopia has also recently joined the field for the race. Around 15,000 runners are expected to take part in Germany’s oldest city marathon. In terms of the men’s field, Tadesse Tola of Ethiopia, whose best time is 2:04:49, and Kenya’s Mark Korir have been mainstays on the start list for some time. The Ethiopian is the fastest man in the race while the Kenyan won the Paris Marathon last year with 2:05:49 and will meet his successor and compatriot in Frankfurt: Young Kenyan Cybrian Kotut triumphed in April this year beside the River Seine and improved his best by almost two minutes to 2:07:11. The 24 year-old will be eager to run another personal record on the flat course in Frankfurt. Unfortunately Kenya’s World Half Marathon champion Peres Jepchirchir decided to withdraw from the women’s race because she felt her training hadn’t gone well enough. However two strong Ethiopian contenders have joined the women’s field: Dinknesh Mekash Tefera and Sutume Asefa Kebede. Tefera missed victory last year in Frankfurt by a hair’s breadth in a thrilling finish, setting a personal best of 2:23:12 behind her compatriot Gulume Tollesa. Sutume Asefa Kebede has great potential as shown by her win in the 2015 Berlin 25km, setting an Ethiopian record of 1:21:55, the fifth fastest ever for the distance. 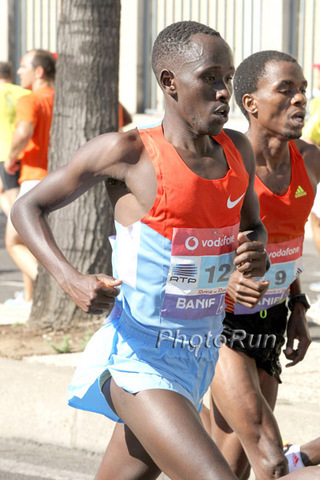 Sutume’s current best for the marathon is 2:24:00 when the 22-year-old finished fourth in Dubai this January. Mamitu Daska was already known as a starter. The Ethiopian is the fastest runner on the women’s start list with a personal best of 2:21:59. The White Nights Marathon (RUS) will take place on Sun 9 July 2017, not Wed 19 July 2017 as previously published. The OMV Petrom Bucharest Half Marathon (ROU) will take place on Sat 1 April 2017, not Sun 14 May 2017 as previously published. The Econet Victoria Falls Marathon (ZIM) will take place on Sun 18 June 2017, not Sun 25 June 2017 as previously published. Kenenisa Bekele established himself as the second fastest marathon runner ever, winning the BMW Berlin Marathon with a time of 2:03:03 on Sunday. 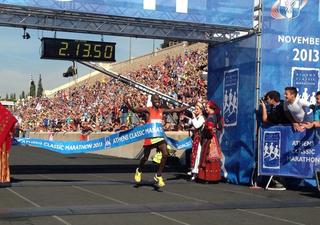 In a thrilling duel the Ethiopian superstar beat Kenya’s Wilson Kipsang. While he missed the world record of Kenya’s Dennis Kimetto by just six seconds he smashed the Ethiopian record of Haile Gebrselassie, who had won the Berlin race back in 2008 with a then world record of 2:03:59. Kenya’s Olympic Champion Eliud Kipchoge was the world leader for the year before Berlin with a time of 2:03:05 from London in April. Wilson Kipsang, who ran a world record of 2:03:23 in Berlin three years ago, was second with a personal best of 2:03:13. It was only on the final kilometre that the Kenyan could not match Bekele’s finishing pace. Evans Chebet of Kenya took third with a fine 2:05:31. Only once has there been a faster marathon as far as the finishing times of the first two men are concerned. When Dennis Kimetto ran the current world record of 2:02:57 in Berlin two years ago fellow-Kenyan Emmanuel Mutai was second with 2:03:13. The man who broke up the five-strong leading group was Wilson Kipsang with his surge shortly before 30 kilometres. The Kenyan’s attack ripped apart the group also comprising Kenenisa Bekele and Kipsang’s compatriots Alfers Lagat and Evans Chebet along with Bekele’s fellow Ethiopian Sisay Lemma. Kipsang made three attempts to drop Bekele, the world record holder at 5 and 10,000m on the track. He built the lead up to 20 metres but the Ethiopian always had a response, showing that his marathon best of 2:05:4 going into Berlin was on course for a major improvement. Kenenisa Bekele found something extra to take the lead in the final kilometre, breaking away for the greatest road race victory of his career, achieving a special landmark into the bargain despite going to close to the world record. Wilson Kipsang also hoped it would be second time lucky for him. “I was going all out to break the world record but couldn’t quite do it. But there’s always another time. Overall I ran very well and felt very relaxed. It was a great race with Kenenisa Bekele, even though I finished second,” explained Kipsang, who did most to push the pace throughout and perhaps used more energy than Bekele as a front runner. The Kipsang family had more than one runner on the start list over the weekend: Wilson brought his eldest son Bethuel to watch him in action for the first time at a major race. The 12-year-old ran the Mini-Marathon on Saturday for schoolchildren, held over a tenth of the marathon distance. He didn’t have the best of starts, having to pick himself up after a fall and ran on to finish. His father commented that this was his first chance to gain experience of international competition! 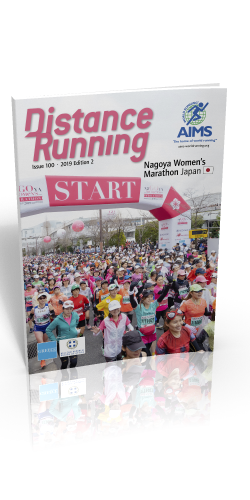 The world running organisation the Association of International Marathons and Distance Races (AIMS) is delighted to announce the innovative market leading Japanese company R-bies as AIMS’ official ‘Registration Partner’. This agreement will see AIMS members and millions of runners around the world have access to a new registration platform launched jointly by AIMS and R-bies. For over 40 years, R-bies has been providing an innovative range of services enhancing the running experience for runners and race organisers. Right now, races have their own various ways of handling entries and while many have first class systems, a considerable number appear in one language only. Hence, entering races overseas can be a constant challenge for runners through language and other issues. This partnership between AIMS and R-bies will help to solve these challenges by creating a registration platform that will complement existing race registration methods and will seamlessly connect runners to races around the world in a multi-language platform. By joining together R-bies experience and excellence in registration with AIMS, their website (the home of world running — www.aims-worldrunning.org) and AIMS members, this partnership will give added value to running events and runners around the world by creating a global window for runners to access major races in over 100 countries and territories around the world. This registration platform is due to launch in early 2017. This registration platform will provide key benefits to AIMS member races. By accessing the platform free of listing charges, AIMS Members will be able to connect to runners from around the world, thus adding value to their race. Runners will be able to use the registration platform to easily find and register for AIMS member races. 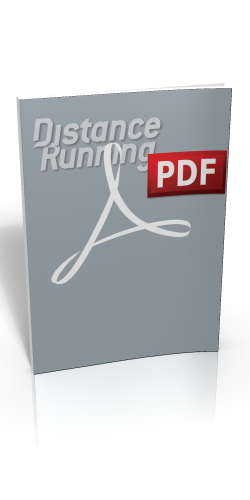 By simplifying the race registration process, participants will approach international races in a whole new way. Paco Borao, AIMS President comments “We are delighted to welcome R-bies as official registration sponsor of AIMS. We are very excited for the potential of the new registration platform and the benefits it will provide AIMS Members and runners from around the world. We encourage innovation to bring access to global running opportunities to runners around the world. Boosting tourism and race entries around the world brings benefit to runners, AIMS member races and local, regional, national and global economies. Tadesse Tola had victory within his grasp six years ago but had to settle for second place. This time the Ethiopian returns to the Mainova Frankfurt Marathon, determined to go one better and be the first runner across the line. Two more leading athletes are also competing on October 30 in Germany’s oldest city marathon who have already enjoyed success beside the River Main: Lani Rutto of Kenya finished runner-up a year ago and Ethiopia’s Mamitu Dask won the women’s title in 2011. 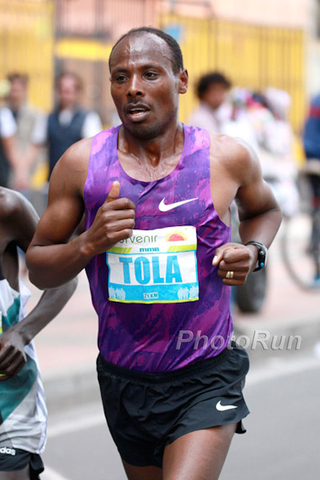 Tadesse Tola went into the lead nine kilometres from the finish in the 2010 Frankfurt Marathon and could have been excused for thinking ahead to victory celebrations in the Festhalle. But there was one rival he couldn’t shake off and that was Wilson Kipsang. The Kenyan, who went on to break the world marathon record in 2013, came through to win and break the course record with 2:04:57. Tadesse Tola finished second in a personal best of 2:06:31. Since then the 28-year-old has improved his best to a world class 2:04:49 when he finished third in Dubai in 2013. After difficult times in 2015, Tadesse Tola returned to form in preparation for the Mainova Frankfurt Marathon. At the end of July he won the Bogota Half Marathon in 65:16, an impressive performance taking into account the event featured a quality field and was held at high altitude. Expectations are high once again for a very fast race in the 43rd edition of the BMW BERLIN-MARATHON on September 25. The former world record holder Wilson Kipsang of Kenya and Ethiopia’s Kenenisa Bekele have taken centre stage as the pre-race build-up has taken place, but alongside them are a clutch of athletes possessing the talent to be right up there with them. Seven runners in the field have best times under 2:06. At the head of the women’s field is the double BMW BERLIN-MARATHON champion Aberu Kebede of Ethiopia. The men’s world record has been broken seven times in Berlin and the world’s fastest time of the year was achieved here on five consecutive occasions. The recruitment of Wilson Kipsang, who brought the world record down to 2:03:23 in Berlin in 2013 and Kenenisa Bekele, who will be looking to make a big improvement on his marathon debut time of 2:05:04 in Paris in 2014, was announced some time ago. But these two outstanding runners shouldn’t think that the race will be simply a duel between themselves. While the Japanese Yuki Kawauchi’s best of 2:08:14 may not threaten the leaders, this prolific marathoner will be making his Berlin debut. Noted for the frequency and consistency of his marathons, the 2014 Asian Games bronze medallist has already run five races at the distance this year, including his most recent effort of second place with 2:09:01 in Australia’s Gold Coast marathon on July 3. In 2014 he ran a total of 13 marathons and the following year even improved on that with 15. However he intends to focus on Berlin and ran fewer marathons this year. Ethiopians are the favourites in the women’s race. Aberu Kebede not only has the fastest personal best but a great deal of experience in the BMW Berlin Marathon. Her tally from three appearances comprises two wins and one second place, an impressive CV. Kebede won in 2010 in 2:23:58 and set her current personal best of 2:20:30 two years later when she took that race again. Last year she was beaten only by the Kenyan Gladys Cherono who ran the fastest time in the world with 2:19:25 with Kebede runner-up in 2:20:48. Her chief ambition remains to break the 2:20 barrier. The Association of International Marathons and Distance Races (AIMS) has announced the first speakers at the 21st World Congress of AIMS to be held in Athens. Dr Kevin Dutton, a research psychologist at the Department of Experimental Psychology, University of Oxford will speak on the subject of “Why do people cheat?”, a topical subject in world sport at this time. Dr Dutton’s area of expertise is the psychopathic personality. He is the author of four best-selling books including ‘The Good Psychopath’s Guide to Success – How to Use Your Inner Psychopath to Get the Most Out of Life’ (2014); and ‘Sorted – The Good Psychopath’s Guide to Bossing Your Life’ (2015). British former middle distance runner Diane Modahl, who was falsely accused of a doping offence in 1994, will also address the Congress. Diane will speak about her fight to clear her name which ultimately cost her two years of her career. Diane is a three-time medallist at the Commonwealth Games. The 2016 AIMS Congress will take place in the home of the Marathon in Athens, Greece, from November 10–12, 2016. The Congress this year coincides with the 120th anniversary of the modern Marathon, first held at the original Olympics in Athens in 1896. It is especially relevant for the AIMS Congress to be held in Greece, the birthplace of the Marathon, formed on the legend of Pheidippides, the Greek soldier-runner who ran from the town of Marathon to Athens in 490 BC to announce the Persians had been defeated in the ‘Battle of Marathon’. The legend became the inspiration for Pierre de Coubertin, Michel Breal and Dimitrios Vikelas, to establish the race from Marathon to Athens which was included in the programme of the inaugural modern Olympic Games of 1896. The 21st World Congress of AIMS is being held in the city of Athens, Greece at the Crowne Plaza Athens City Centre Hotel between November 10 – 12. The weekend will include many events including the AIMS Best Marathon Runner Awards, the Athens Marathon Expo, the Athens Marathon Opening Ceremonies & Marathon Flame Lighting inside the Marathon Tomb. 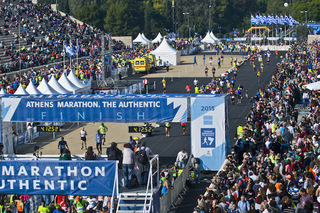 The weekend finishes with the 34th edition of the ‘Athens Marathon. The Authentic’ on Sunday 13 November. The Congress will also give race organisers the chance to promote their races to hundreds of international runners and visitors. AIMS Members and non-Members should visit www.aimsworldcongress2016.gr to register. Further speakers will be announced closer to the Congress. The Taipei Standard Chartered Charity Marathon (TPE) will take place on Sun 12 February 2017, not Sun 22 January 2017 as previously published. The Coca-Cola Wake Your Body Women’s Run (HUN) will take place on Sun 21 May 2017, not Sun 14 May 2017 as previously published. The Medio Maratón Internacional Tlajomulco-Cajititlán (MEX) will take place on Sun 18 September 2016, not Sun 25 September 2016 as previously published. The Semi-Marathon International de Nice (FRA) will take place on Sun 16 April 2017, not Sun 23 April 2017 as previously published. A year of outstanding performances by Peres Jepchirchir could be improved still further if the Kenyan fulfils her marathon potential at the Mainova Frankfurt Marathon on October 30. The 22-year-old has already captured the World Half Marathon title, surprising better known performers to win in Cardiff in Wales on March 26. Consistently strong performances at half marathon, including a personal best of 66:39 for fourth place in the perennially high quality Ras Al Khaimah event in February this year, suggest that the training partner of the African record holder for the women’s marathon, Mary Keitany, has the pedigree to make a successful transition to the full distance. Anticipation will be high following the announcement of Jepchirchir’s participation in the 35th edition of the Mainova Frankfurt Marathon, an IAAF Gold Label Race which is the highest category of road race. The Econet Victoria Falls Marathon (ZIM) will take place on Sun 25 June 2017, not Sun 2 July 2017 as previously published. The “Athens Marathon. The Authentic” (AMA) continues its run of success despite the tough economic situation in Greece. The organisers of the first ever classic marathon race in history, which leads on the original course from Marathon to Athens, have announced that the elite field will be restored to the event on November 13 after a one year break. In addition, the race is certain to make history, since for the first time more than 50,000 runners are expected to register for the various events in the Greek capital. They will include a record of at least 18,000 who will run this classic marathon course. In the days before the “Athens Marathon. The Authentic”, organised by SEGAS, the Hellenic Athletics Federation, the 21st World Congress of the Association of International Marathons and Distance Races (AIMS) will also take place in Athens, the birthplace of the marathon race and host of AIMS headquarters since 2011. 2016 will also mark the fourth year that Athens will host the “AIMS Best Marathon Runner” Awards. These will be presented to the best marathon male and female runners of 2016, chosen by a vote amongst all 400+ AIMS members. After a year of intensive bank capital controls in Greece, the Authentic Marathon will be able to resume recruiting international runners for its elite field. In 2015 this had to be curtailed due to the bank capital controls which had deprived SEGAS of the legal framework to make proper financial arrangements with the international elite athletes. Nonetheless the race proved a success in the circumstances with a record number of more than 43,000 athletes entered for the various distances in 2015. The return of the elite athletes ensures the Athens Marathon regains its true international status. The organisers are keen to recruit top runners who are capable of breaking the course record. In 2014 Felix Kandie of Kenya ran 2:10:37 to break by 18 seconds the time of Italy’s Olympic champion Stefano Baldini which had stood for ten years. Before the winner of the 34th edition of the “Athens Marathon. The Authentic” crosses the finish line in the Panathenaic Stadium on November 13, an important special ceremony will also take place in that same venue which staged the first Olympics of the modern era in 1896. This will commemorate the first Olympic Marathon race, held 120 years ago. The ceremony will be organised in conjunction with the Hellenic Olympic Committee and the organisers expect huge numbers of spectators in the historic marble arena. In the meantime the Authentic Marathon has clearly aroused great interest in running among the Greek public. Proof of this was provided on just one day in spring this year when the organisers opened online registration for participation. Within 10 hours races for the shorter distances of 5 and 10 k were completely sold out. “The success of the Athens Marathon is a contribution to people’s awareness of a healthier lifestyle. That is really the biggest legacy of the Athens Marathon for the Greek public,” said Kostas Panagopoulos, President of the Hellenic Athletics Federation. The BMW Berlin Marathon will see a duel of superstars Wilson Kipsang and Kenenisa Bekele on 25th September. While Kenya’s Kipsang has already won Germany’s most prestigious road race, clocking a world record of 2:03:23 in 2013, it will be the first time that Ethiopia’s Bekele competes on the roads in Germany. Kipsang’s world record was broken a year later in Berlin when fellow-Kenyan Dennis Kimetto ran 2:02:57, which is still unsurpassed. The Berlin Marathon will be the first autumn race in the Abbott World Marathon Majors (AWMM) series which also comprises Tokyo, Boston, London, Chicago and New York. The race has Gold Label status, the highest category awarded by the IAAF. Wilson Kipsang joined an illustrious group of runners when he broke the world record in Berlin in 2013 with his time of 2:03:23. With that achievement Kipsang, now 34, contributed to the race’s status as the fastest marathon in the world. A record total of nine world records have been broken in this race. Following his world record win in 2013, Wilson Kipsang went on to triumph in his two subsequent marathons, winning in London in 2014 and New York the same year. “I’m happy to come back to Berlin where I ran my world record in 2013 because I really like the course in Berlin. My goal for this year in Berlin is to run as fast as possible. I like to compete in a strong competition and that’s why I’m happy that Kenenisa Bekele also is running in Berlin. And I hope we can stimulate each other to run a fast time. Of course this will depend on the weather conditions on the day of the race and whether the pacemakers can do the right job, as they did during my world record race and for Dennis Kimetto when he ran the world record in Berlin a year later,“ said Wilson Kipsang. Regarded by many as the most successful long distance track runner of all time, Kenenisa Bekele of Ethiopia, will be running his fifth race at the distance when he lines up for this year’s BMW Berlin Marathon. The 34-year-old is a triple Olympic champion and five times winner of World championship titles at 5 and 10,000m. That is by no means the end of his achievements, which also include eleven titles in the World Cross Country Championships for the short and long course events. He is also world record holder at 5 and 10,000m. Kenenisa Bekele marked his marathon debut in 2014 with victory in Paris in 2:05:04, followed by fourth place in Chicago the same year in 2:05:51. His progress faltered in Dubai in early 2015, dropping out because of injury but he proved his pedigree once again with 2:06:36 for third place in London in 2016. It’s worth noting that his illustrious predecessor and compatriot, Haile Gebrselassie, went to the start line of seven marathons before his own great talent was fulfilled in the marathon – and what’s more, it was in Berlin in 2007 when Haile ran the first of his two world records in the marathon with 2:04:26. The Tokyo Marathon has announced a pre-registration system for volunteers. Starting with Tokyo Marathon 2017, only those who have registered in advance will be able to apply to be volunteers. If the number of applicants exceeds the number of positions available, volunteers will be selected by lottery. This replaces the previous first-come-first-served approach. The volunteers supporting the marathon operation serve as a symbol of Tokyo Marathon’s hospitality. The marathon is limited to 35,500 runners. 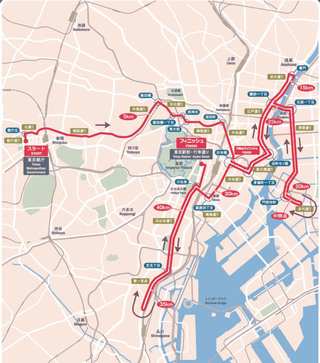 The provisional course goes from the Tokyo metropolitan government building, passing Nihombashi, Ryogoku and Takanawa to finish at Tokyo Station/Gyoko-dori. The race is scheduled to take place on 26 February 2017. The Tokyo Marathon also serves as the selection race for the Japanese contenders for the Men’s Marathon in the 16th IAAF World Championships. The Association of International Marathons and Distance Races (AIMS) announces that from today, Tuesday 14 June 2016, AIMS has moved to a new home online – www.aims-worldrunning.org – “The home of world running™”. This change is part of an ongoing project to modernise the website and continue to provide a window to the world of running for races, runners, the worldwide media and running enthusiasts around the world. Together with this new web address, email contact for AIMS is also being updated. AIMS headquarters can now be reached at aimshq@aims-worldrunning.org and AIMS Members looking to update their details/memberships should contact update@aims-worldrunning.org. AIMS’ former website www.aimsworldrunning.org is no longer in use by AIMS. Please replace this address in your browser with the new address: www.aims-worldrunning.org and update your bookmarks. AIMS’ former email addresses aimshq@aimsworldrunning.org and update@aimsworldrunning.org are no longer in use by AIMS. Please could you kindly replace those addresses in your email contact lists with aimshq@aims-worldrunning.org and update@aims-worldrunning.org. The Minsk Half Marathon (BLR) will take place on Sun 4 September 2016, not Sun 11 September 2016 as previously published. The Gran Maraton Mexiquense (MEX) will take place on Sun 5 June 2016, not Mon 6 June 2016 as previously published. The Wizz Air Kyiv City Marathon (UKR) will take place on Sun 9 October 2016, not Sun 18 September 2016 as previously published. Hot and humid temperatures forced a detour for some runners at the 2016 Scotiabank Ottawa Marathon. Shortly after 11 a.m. at around the 4-hour mark of the race, officials made a weather-based decision to close a roughly 10 kilometre stretch of the marathon course to remaining runners returning to Ottawa from Gatineau via the Alexandra Bridge. At their pace this meant about 1 ¼ hours less time on the roads at what would be the hottest point in the day, with expected humidex readings as high as 40 degrees C.
It was a different story in the earlier part of the day, where spectators witnessed an Ethiopian sweep in both the men’s and women’s categories. Hot weather conditions didn’t do much to slow down the frontrunners and Rio Olympic Games hopefuls, who delivered some of the marathon’s strongest performances ever. Ottawa was a preferred destination for many elite-level athletes looking to secure an Olympics berth. All three of the top female finishers this year were Ethiopians. Koren Jelela, 29, ran 2:27:06. She beat last year’s winner, 32-year-old Aberu Mekuria, who came in at 2:29:51. Third place finisher was Sechale Dalasa, 24, with a time of 2:32:46. The HAJ Hannover Marathon (GER) will take place on Sun 9 April 2017, not Sun 23 April 2017 as previously published. Hugh Jones, Secretary of AIMS since 1996, received the Disley Lifetime Achievement Award in recognition of his outstanding contribution to marathon running in the United Kingdom over several decades. Hugh, a Londoner himself, was the first British winner of the London men’s title in 1982 (2:09:24), has been actively involved with the event ever since, and is the AIMS/IAAF Measurer responsible for its certification. The honour first given last year to Paula Radcliffe, world record holder and three times previous winner at London, was initiated by John Disley, co-founder of the London Marathon in 1981 who died aged 87 in February 2016. 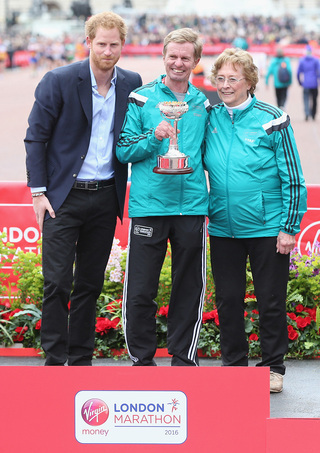 HRH Prince Harry, as Patron of the London Marathon Charitable Trust, and Mrs Sylvia Disley, John’s widow and an Olympian herself who won bronze in the 4×100m relay at the 1952 Olympics, are pictured jointly presenting the Award to Hugh after the London Marathon on 24th April 2016. The Frankfurt Marathon has a new title sponsor for its 35th and latest edition. Mainova AG will make its debut as title sponsor for the anniversary race on 30 October, 2016. The contract will run until 2018. The Mainova Frankfurt Marathon is an IAAF Gold Label Road Race, which finishes in the magnificent indoor setting of the city’s “Festhalle” or Festival Hall. The announcement marks a new chapter in the longstanding and proven partnership between Germany’s oldest city marathon and Hessen’s biggest energy provider. Mainova has already been for some time the chief supporter of the Children’s and Youth competitions, “The Kids Race powered by Mainova” and the “Mainova Mini-Marathon”. In future the regional service provider will concentrate on the main race over 42.195 kilometres but will retain its links as partner with the junior races. The Maratón Powerade Monterrey (MEX) will take place on Sun 11 December 2016, not Tue 13 December 2016 as previously published. Organisers of the International Association of Athletics Federations (IAAF) Gold label 2016 Scotiabank Ottawa Marathon expect a hotly contested race as the list of confirmed elite runners grows. Organisers have seen an impact on the elite field in the lead-up to the Summer Olympics in Rio de Janeiro. Some well-known marathoners familiar to Ottawa fans, including Canadians Reid Coolsaet and Lanni Marchant have already qualified for the Games and are taking a pass on the marathon to pace their training. For others it is a last opportunity to qualify, and as many as seven runners from several countries are eyeing Ottawa as a flat, fast course to secure an Olympics berth. Despite these factors, organizers say event records could topple – even the marathon record on Canadian soil. Ethiopians could dominate the course for the third year running, based on how the roster is shaping up. Last year’s winner in the men’s category, 29-year-old Girmay Birhanu, is returning to defend his title and shave time off his 2:08:14 finish. He’ll face hot competition from fellow countrymen Dino Sefir and Megersa Bacha, who boast personal best times of 2:04:50 and 2:07:14 respectively. But a win won’t be handed to the Ethiopians on a silver platter. They’ll need to keep a sharp eye on the Kenyans and particularly Vincent Kipruto, who comes to Ottawa with a 2:05:13 personal best under his belt. Ethiopians also dominate the top 10 women. Aberu Mekuria, 32, will be at the start line hoping to defend her Ottawa title and improve on her last year’s 2:25:30 winning time. She could be joined by as many as five of her compatriots including Koren Jelela, the current Canadian-soil record holder. Leading the charge against the Ethiopians is Kenyan Isabella Ochichi, a 5,000 metre Olympic silver medalist. Canadians Rachel Hannah, Tarah Korir and Leslie Sexton are also on the start list and hope to achieve the Canadian Olympic standard of 2:29:50. 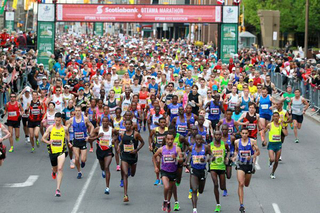 If it’s a good day, organizers believe the 2016 Scotiabank Ottawa Marathon could continue to build on its reputation as Canada’s fastest course. Ottawa already boasts the best marathon time for men on Canadian soil and has had the fastest men’s marathon in Canada for the last two years. If the women can beat the 2:22:43, set by Koren Jelela in 2011, the winner would take home a new Hyundai Tuscon from Ottawa’s Pathway Hyundai and add to the Tamarack Ottawa Race Weekend’s already long and impressive list of records. Japhet Kosgei won the 14th edition of the METRO GROUP Marathon Düsseldorf. Taking into account the weather conditions with cold temperatures, wind and a couple of hail showers he clocked a fine time of 2:10:46. Defending champion Marius Ionescu of Romania took second with a personal best of 2:13:00 while Germany’s Hendrik Pfeiffer ran a superb debut in difficult conditions. The 23 year-old was third, but more important qualified for the Olympic marathon with a time of 2:13:11. Hungary’s Zsofia Erdelyi dominated the women’s race, winning with 2:35:37 from Beverly Ramos of Puerto Rico, who clocked a national record of 2:36:31. Belgium’s Hanna Vandenbusche was third in 2:39:50. Adding other running events staged parallel to the marathon a total of around 17,000 runners entered the METRO GROUP Marathon Düsseldorf. “We are really happy and proud that Hendrik Pfeiffer snatched a ticket to Rio today. That was a superb bonus to a great event,” said race director Jan Winschermann. For a large part of the race the leading group ran a pace that pointed towards a finishing time of around 2:09. Running behind a pacemaker Kenyans Mathew Bowen, Francis Lagat and eventual winner Japhet Kosgei passed the half way point in 64:25. The fastest man in the field had already been dropped at 15 k and was trailing the first group by almost 90 seconds at half way: Philipp Sanga, who has a PB of 2:06:07 and hoped to attack the 2:07:48 course record, had problems in the cold and windy weather. He later dropped out. In contrast Japhet Kosgei ran strongly in the uncomfortable conditions. 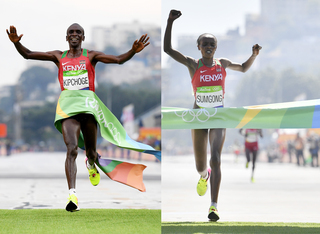 The Kenyan dropped his rivals at 23 k and built a commanding lead. It was only in the final section of the race when he slowed a bit and missed a sub 2:10 time. In the women’s race Zsofia Erdelyi and Beverly Ramos left behind the other contenders early in the race. They passed through 10k in 36:42 and were already 40 seconds ahead. It was around the 20 k mark, when 28 year-old Hungarian Erdelyi, who had a personal best of 2:36:56, took the lead. At the half way mark, which she passed in 1:17:51, she was already 12 seconds ahead of Ramos. While Erdelyi won in 2:35:37 second placed Ramos beat her own national record by more than five minutes with a time of 2:36:31. The runner from Puerto Rico had a PB of 2:41:56 from her debut in New York last year. The Quito Últimas Noticias 15k (ECU), scheduled to take place on 5 June, has been postponed due to the recent earthquakes in Ecuador. AIMS has entered into a partnership with the International Institute for Race Medicine (IIRM) in which IIRM becomes the medical advisory body to AIMS. Founded in October 2003 as the American Road Racing Medical Society (ARRMS), IIRM was developed to help create a streamlined medical response plan for race directors and medical volunteers to protect runners on their courses. IIRM offers educational resources to race directors and sports medicine physicians including best responses for common road racing injuries and advice on how to train medical volunteers for race day. AIMS members will be able to use IIRM as a conduit to access information, research and good practice from many of the world’s leading and most highly qualified medical professionals specialising in sport and in particular distance running. 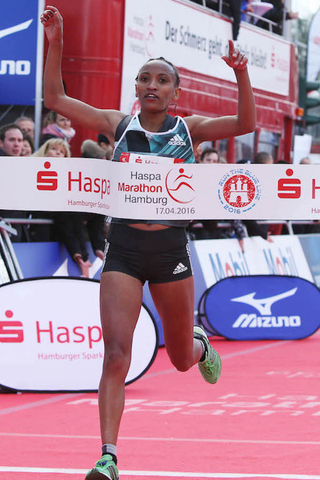 Ethiopia’s Meselech Melkamu smashed the course record by more than two minutes in the Haspa Marathon Hamburg. Finishing in 2:21:54 despite windy conditions she made a strong statement regarding the selection of Ethiopia’s marathon Olympic team. Fellow Ethiopian and defending champion Meseret Hailu was second with 2:26:26, while Germany’s Anja Scherl caused an upset with a tremendous run for third place. Improving by more than eight minutes to 2:27:50 she has secured Olympic selection. In the women’s race Meselech Melkamu dictated the pace together with the defending champion Meseret Hailu from the start with the Kenyan Sarah Chepchirchir pressing at their heels. That scenario came to an end just before 20km when Melkamu broke away in the style which reminded onlookers of her best performance of 2:21:01. She went through halfway in 71:04 and a 15 second lead over Hailu and Chepchirchir. Despite the strong headwind at times during the second half of the race, Melkamu maintained her pace and the pursuing duo were unable to cut the deficit. Meseret Hailu finished second in 2:26:26 but Chepchirchir faded to seventh place in 2:30:08. “I think that without the wind I could have run under 2:20 today because it’s a fast course. This was one of the best performances of my career. I hope it will be enough to win Olympic selection,” said the 30 year old Meselech Melkamu, who is also the African record holder at 10,000m. She improved the course record by Netsanet Abeyo by 2:18 minutes. Abeyo ran 2:24:12 in 2012. 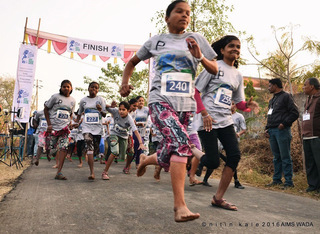 More than 5000 elementary school students along with parents, teachers and families have signed up to participate in the By the Bay 3km fun run in Pacific Grove, California on 23 April. This largest ever Big Sur Marathon event now ranks as the third largest kid’s race in the USA and the largest event in the Big Sur portfolio. The Marathon itself is capped at 4500 in accordance with highway permits. The other distances (21km, 10.6, and 9 miles, plus a 5km and 4-person relay) all have individual caps ranging from 750 to 1600. The Sunday events host 10,000 participants for the six distances and all except the 5km are sold out. 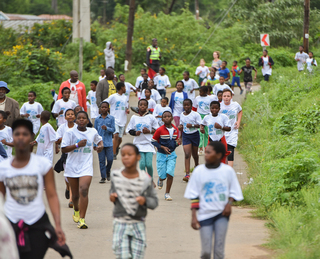 In 2008 the kid-focused 3km moved from marathon Sunday to a different venue on the Saturday and has been steadily growing. This year’s 5146 surpasses last year’s total by 20%. “The growth of the By the Bay 3km reflects a growing interest in youth fitness in our community,” said Race Director Doug Thurston. The marathon provides bus grants to schools coming from longer distances throughout the Salinas Valley. For many children this event along the scenic Monterey Bay coastline provides their first ever glimpse of the ocean. The Gatorade Panama International Half Marathon (PAN) will take place on Sat 2 July 2016, not Sat 25 June 2016 as previously published. Half a dozen of experienced marathon runners with personal bests in the 2:23 to 2:27 region plus two more or less newcomers to the distance form part of the women’s elite field of the Vienna City Marathon on 10th April. Ethiopia’s Guteni Shone is the fastest on the current start list with a personal record of 2:23:32. Including other running events staged parallel to the marathon organisers of this IAAF Gold Label Road Race expect more than 40,000 entries. While times of the men’s winners of recent editions have been top-class the women could often not quite live up to expectations. Only twice were there winning times of sub 2:25 in the past ten years. And the 2:23:47 course record of Italy’s Maura Viceconte dates back to 2000. This year organisers hope to see times of at least sub 2:25 again. Guteni Shone knows how to run such times. She clocked her personal best of 2:23:32 in the 2015 Houston Marathon in which she finished runner-up. The 24 year-old Ethiopian then took the Seoul Marathon just two months later, running 2:26:22. Second in Rotterdam in 2014 Shone also has a fine half marathon record of 68:31. While Namibia’s Helaria Johannes is the second fastest woman on the start list with a PB of 2:26:09 two Ethiopians intend to run a sub 2:25 pace on 10th April: Fantu Jimma and Meseret Kitata. 28 year-old Jimma has run sub 2:30 half a dozen times and her personal best stands at 2:26:14 from Dubai 2014. It was earlier this year, when she came relatively close to that. Jimma was third in Xiamen in January with 2:26:53. In contrast to Jimma 22 year-old youngster Kitata has already won a major international marathon. A year ago she took the Rome Marathon. She clocked 2:30:25 in rainy conditions on some slippery roads. Later that year Kitata improved her personal best to 2:27:17 with a fifth place in Frankfurt. Shuko Genemo aims to further improve when she comes to Vienna. The Ethiopian clocked 2:27:29 when finishing third in Hengshui (China) last year. In January she won the Mumbai Marathon with 2:27:50. Another runner with a sub 2:28 personal best is China’s Jia Chaofeng. She clocked 2:27:40 when winning the Beijing Marathon in 2012. Two other women have the potential to produce a surprise in Vienna. Ethiopia’s Ruti Aga has shown very promising form this year: First she clocked a personal best of 68:07 in the Houston half marathon, finishing fourth in January. Then she took the Lisbon Half Marathon last Sunday with 69:16. While the Ethiopian will run her marathon debut in Vienna Kenya’s Doris Changeywo had a first marathon experience last December. She won the Singapore Marathon in 2:44:26. While it was a great debut win the time run in humid conditions does not reflect her potential. Changeywo features fine personal bests of 31:26 for 10 k and 68:49 for the half marathon. The Lake Balaton Supermarathon (HUN) will take place from 23–26 March 2017, not 16–19 March 2017 as previously published. The Mauritius Marathon (MRI) will take place on Sun 17 July 2016, not Sun 24 July 2016 as previously published. The Nike Women’s Half Marathon (TPE) will take place on Sun 10 April 2016, not Mon 11 April 2016 as previously published. The Legends Marathon (RSA) will take place on Sat 1 October 2016, not Sun 2 October 2016 as previously published. Three years after breaking the course record Lusapho April returns to the HAJ Marathon Hannover on 10th April. One of South Africa’s leading marathon runners, he clocked 2:08:32 on the very flat course in central Germany in 2013. This still remains the fastest time ever run in Hannover and his personal best as well. Lusapho April will challenge the defending champion Cheshari Jacob. He is among a group of strong Kenyans entered for the HAJ Marathon Hannover which is an IAAF Silver Label Race. Meanwhile Germany’s Anna Hahner hopes to secure Olympic selection on 10th April. Lusapho April will chase a record third win when he returns to Hannover. The 33 year-old took his first title back in 2011 when he ran 2:09:25, which remains his second best marathon time. The South African has a special bond to the HAJ Marathon Hannover. There is no other marathon in the world where he participated as often as in this race in Germany. Back in 2009 he ran his debut there and finished eighth with 2:14:19, then he improved to fifth with a personal best of 2:10:45 in 2010. After his two wins in 2011 and 2013 April returns for his fifth Hannover race and hopes to achieve a unique result in the history of the race. No man has ever won this marathon three times. But it will not be an easy achievement for the 33 year-old, who was third in the New York City Marathon in 2013. “My main goal is to win in Hannover for the third time,” said April and added: “I hope that the pace will be targeting the course record. I would like to go for that as well.” Race Director Stefanie Eichel was happy to hear that Lusapho April’s training is going well. “We are delighted that Lusapho once again comes back to the HAJ Marathon Hannover and hope he can achieve his goals. When he raced here in the past he always produced emotional performances. Lusapho is a real crowd favourite in Hannover,” she said. Five Kenyan runners are on the current start list who have the ability to run very well on this fast course. Cheshari Jacob did so last year, when he left five runners behind him with superior personal bests. The Kenyan won with 2:09:32 while the personal best of the 31 year-old stands at 2:07:46 from Frankfurt in 2013. Another former Hannover winner has been confirmed for the race: Duncan Koech took the race back in 2008 with 2:14:29. This had been his debut marathon and he enjoyed a fine marathon career afterwards. Koech ran his personal best of 2:07:53 when he was third in Cologne in 2012. Martin Kosgey has a very good and more recent Hannover record. If he maintains his rhythm then he should finish runner-up this time. Two years ago Kosgey was fourth and in 2015 he improved to 2:09:50 taking third place. The fastest on the current start list is Philipp Kimutai. The 32 year-old has plenty of experience from major city marathons and features a personal best of 2:06:07. He ran this time when he was fourth in Frankfurt in 2011. The most prominent name on the start list is that of Moses Masai. The former 10,000 m world-class runner, who took a bronze medal at the 2009 World Championships and was fourth in the Olympic final a year earlier, has not yet managed to transfer his enormous potential to the marathon distance. After improving to 2:10:36 in Duesseldorf in 2014 he did not compete much and did not run another marathon. However on the flat course of Hannover the 30 year-old Kenyan wants to give it another try. The women’s field could produce a German winner for the first time in more than ten years. Anna Hahner is the fastest runner entered with a personal best of 2:26:44. The 26 year-old ran that time when she sensationally won the Vienna City Marathon in 2014. More recently Hahner clocked 2:30:19 in the Berlin Marathon. She will look to improve on that time to secure nomination for the Olympics. Anna Hahner’s toughest rivals will be Ethiopia’s Tizita Terecha Dida and Kenya’s Edinah Kwambai. Dida won last year’s Guangzhou Marathon in China with a PB of 2:28:02 while Kwambai has a personal record of 2:29:35. She was second in Hannover three years ago with 2:29:49. 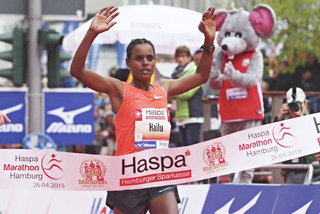 Ethiopia’s world class runner Meseret Hailu will return to the Haspa Hamburg Marathon on April 17 for a title defence and with the course record as her prime objective. Such an achievement would certainly boost her chances in what is always an immensely tough process of Olympic selection for her country’s marathon team. The current course record for the biggest of Germany’s spring marathons is 2:24:12. Approx. 23,000 runners are expected to be on the start line in Hamburg on April 17, including a relay event. Online entries are still available. Meseret Hailu made headlines in October 2012 when she scored a double triumph, firstly springing a surprise to win the World Half Marathon title and then taking top honours in the women’s field at the Amsterdam Marathon in the same month, setting the world class time of 2:21:09. She was unable to maintain such high standards in the next two years but recovery was clear for all to see in 2015: she won the Haspa Hamburg Marathon in 2:25:41, her first major international win since Amsterdam three years previously and then in the autumn finished third in Berlin with 2:24:33. Her aim on her return to Hamburg is to run faster than her Berlin performance with the course record as her target. This has stood at 2:24:12, set by her compatriot Netsanet Abeyo, for the past three years. Breaking the course record would emphasise her credentials as a contender for an Olympic place in the Ethiopian team, but no guarantee, given their perennial strength in depth. But if Meseret Hailu can improve on her lifetime best of 2:21:09 from her 2012 Amsterdam victory, she would take a solid step towards Olympic selection. Hence it’s no accident that Meseret Hailu will face strong opposition on April 17. In addition to the defending champion another five runners with personal bests of under 2:30 will be in contention. Perhaps taking note of how Hamburg provided a springboard for Meseret Hailu to regain form, the Mexican record holder Madai Perez is also seeking to recapture her best. The 36-year-old ran her lifetime best of 2:22:59 in Chicago ten years ago but showed she was still a potent force when finishing seventh in the 2013 World Championship marathon in Moscow. She had intended to run in Hamburg two years ago but had to withdraw because of injury. It seemed as if her career was over but Perez is aiming to give it fresh impetus in the “Hansestadt” with the objective of qualifying for the Olympics in Rio. Another making her return to Hamburg is Beata Naigambo. The 35-year-old from Namibia finished third a year ago with a personal best of 2:27:28. She improved further last November, winning the Valencia Marathon in 2:26:57. Among the elite women who should also be among the leaders is the 31-year-old Portuguese Filomena Costa. The winner of the Seville Marathon last year in 2:28:00, she produced a strong performance to finish 12th at the World Championships in Beijing later in 2015. Also among those with personal bests under 2:30 are the Brazilian Adriana da Silva (2:29:17) and Monika Stefanowicz (2:29:28) from Poland. Levy Omari has chosen Vienna as his next destination for a marathon. The Kenyan finally aims to return to winning ways in the Austrian capital on 10th April since his last marathon victory dates back to 2011. In the meantime the 26 year-old has improved his personal best to a world class 2:05:16. With this time he is the fastest in the elite field of this IAAF Gold Label Road Race and indeed one of the fastest ever entered in the history of the Vienna City Marathon. Adding other running events staged parallel to the marathon organisers of Austria’s biggest annual sporting event expect more than 40,000 entries for the 33rd edition of the race. Chet Sainsbury, Race Director of the Two Oceans Marathon for 27 years, died on 23 February 2016. He held many positions within the road running fraternity, including serving on the South African Road Running Commission, acting as Vice-Chair of Western Province Athletics and as Chairperson of Western Province Road Running and the Celtic Harriers Club. He was an active measurer in South Africa throughout the 1990s. 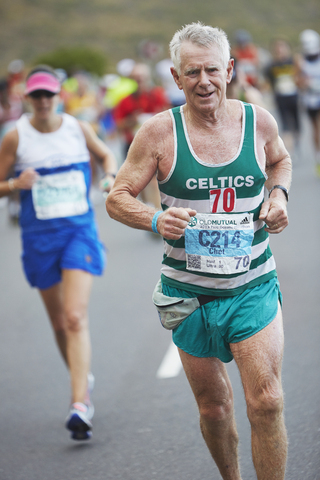 Chet was an ardent supporter of the Comrades Marathon and was a “Green Number” runner having completed more than 10 of the 89km races – in fact 14 of them between 1978 and 1991. He ran his final Comrades in the year 2000 in the 75th commemorative edition of the race. John Disley, former world record holder in the 3000m steeplechase and co-founder of the London Marathon, died on 8 February after a short illness. Born on 20 November 1928 Disley, from Corris on the southern slopes of Snowdonia in North Wales, became Britain’s first world-class steeplechaser and lowered the British record five times — from 9:18.4 in 1950 to 8:44.2 in 1955. He only took up athletics after attending Loughborough College in 1946 and meeting the coach Geoffrey Dyson. in the British publication Athletics Weekly in 1951 that he had never seen an athletics track until he went to Loughborough. On arrival there he ran a mile in the Freshers’ Sports: before that his running had been at annual cross-country runs and school sports. He broke the nine-minute barrier at the 1952 Helsinki Olympics when he improved from 9:11.8 to 8:59.59 in the heats and to 8:51.94 for the bronze medal in the final. Four years later he entered the Melbourne Olympics as Britain’s No.1. Although he nearly matched his best, running 8:44.6, he placed sixth in the final won by his teammate Chris Brasher. Disley and Brasher formed a friendship which endured well beyond their athletics careers. Disley ran for the club London AC and was a schoolmaster in West London during his running days before becoming the first chief instructor at the flagship national mountaineering and outdoor pursuits centre, Plas y Brenin in Snowdonia. He and Brasher ‘imported’ the Nordic sport of orienteering in Britain from the mid-1960s and Disley took over from Brasher as chairman of the British Orienteering Federation from 1970–72. In a later development they instituted rules for conducting relays on long-distance footpaths in the United Kingdom. A former vice-chairman of the UK Sports Council, Disley received royal honours in 1979 for his work in outdoor education. Disley and Brasher were both members of the Ranelagh Harriers club in London during the 1970s. In 1979 Disley, Brasher and another clubmate took third place in the South of England Veterans’ Cross-Country Championships despite Disley and Brasher arriving late and missing the start. Later that year they travelled with a club group to run in the New York City Marathon and were so impressed by it that they resolved to put on a similar event in London. 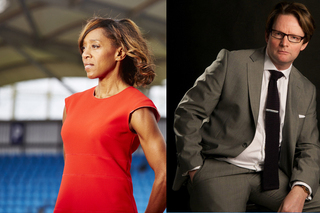 They convinced the London authorities, the police, the athletics federation and the London Tourist Board to back their efforts and secured commercial sponsorship. The first London Marathon, with 8000 entries, was held in March 1981— only a year and a half after their visit to New York. Disley took particular responsibility for the course — a clever design which followed the River Thames and included a 15km loop around the then largely derelict docks area to minimise traffic disruption. It has stood the test of time and remained substantially intact despite the redevelopment of the docklands into London’s new financial centre. But his influence extended to more than just the London course. He developed an interest in the measurement and verification of road race courses. In 1985 a new marathon “world record” (only recognised as such from 2005) was run in Rotterdam by Carlos Lopes. Disley was one of an international team of measurers who checked the course — the first time this had been done. John Disley was aware that for times to be credible a world-class event with fast runners needed to have its course vetted beforehand by independent measurers. At Disley’s invitation Pete Riegel of USA Track & Field travelled to London a week before the 1987 London Marathon to check the length of the course. During the race he rode in the lead vehicle to verified that course was run as measured. Disley and Riegel established a firm friendship. Together they wrote the official manual “The Measurement of Road Race Courses”(1991) and served as two of the four administrators of a worldwide system of road race measurement. The measurement and verification procedure pioneered by Disley set a new standard which more and more big races started to follow. This was instrumental in World records in road running finally being recognised by the world governing body in 2005..
Disley continued to be involved in the London Marathon after Chris Brasher’s death in 2003 through assisting with measurement of the course and as Chairman of the London Marathon Charitable Trust. 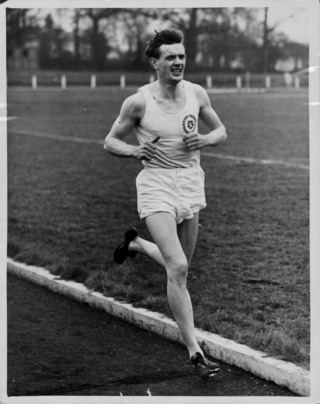 John Disley won major awards throughout his life — such as BBC Cymru Wales Sports Personality of the year in 1955 and a place in the Welsh Sports Hall of Fame in 2007 but an award is also made in his name. In 2015 Paula Radcliffe was the first recipient of the John Disley Award for Lifetime Achievement in running. He is survived by his wife Sylvia, who also won a bronze medal in the 1952 Helsinki Olympics on Great Britain’s 4×100m relay team, and their two daughters. The Gran Maraton Mexiquense (MEX) will take place on Mon 6 June 2016, not Sun 13 March 2016 as previously published. The International Ergo White Nights Marathon (RUS) will take place on Sun 3 July 2016, not Sun 26 June 2016 as previously published. On 12 February at the RAK Half Marathon in the United Arab Emirates, Cynthia Limo moved up to third on the world all-time list for the half marathon, behind Florence Kiplagat and Mary Keitany, with this victory writes Rob Walker. 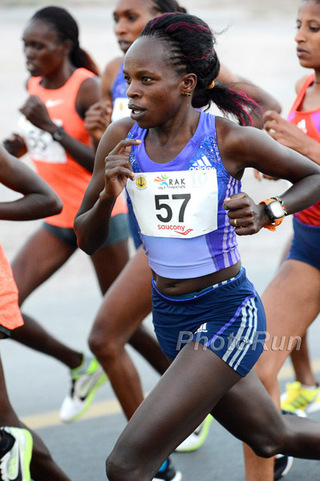 She was to the fore throughout: within a group of seven up to 15km (passing 10km in 31:32) which reduced to just her and world Half Marathon champion Gladys Cherono by 20km (1:02:48). Limo broke away over the last 800m to claim a narrow but confident win. Of the first six finishers — all under 67 minutes — five set personal bests with Limo taking 37 seconds off her time and Cherono 31 seconds off hers with the dubious bonus of posting the fastest ever non-winning performance. Genet Yalew set an Ethiopian record in third having lost contact with the two Kenyans around 19km. The Great Hakka Marathon (CHN) will take place on Sat 26 November 2016, not Sat 19 November 2016 as previously published. The El Corte Inglés São Silvestre de Lisboa (POR) will take place on Sat 31 December 2016, not Sat 17 December 2016 as previously published. The Goa River Marathon (IND) will take place on Sun 11 December 2016, not Mon 12 December 2016 as previously published. The Airtel Delhi Half Marathon (IND) will take place on Sun 20 November 2016, not Sun 27 November 2016 as previously published. The Rock’n’Roll Lisbon Marathon EDP | Rock’n’Roll Half Marathon Vodafone RTP (POR) will take place on Sun 2 October 2016, not Tue 18 October 2016 as previously published. The Jakarta Marathon (INA) will take place on Sun 23 October 2016, not Sun 30 October 2016 as previously published.